There comes a time in every entrepreneur’s life when the current office space doesn’t fulfill all their needs. Either it’s too big, too small, or in the wrong neighborhood. The time for change has come and the big decisions have been taken, now it’s time to get down to business and find the perfect workspace. Being one of the largest and busiest cities in Europe, finding the right office in London is a challenge in itself. In the past few decades, the Queen’s capital is one of the fastest growing and diverse cities and provides room for a lot of possibilities. You can remove your working space to an open type of office or to a neatly structured cubicle space. For the more imaginative, that can even be an attic flat with a view or a part of a shared office space. The latter has become very popular in the past five years. There are more than fifty coworking offices in London equipped with everything necessary for a fully operational business. London, being the capital of the United Kingdom occupies an area of 1,572 km2 with one of the biggest business parks in Europe — Park Royal. It is the largest business park in London, occupying about 500 hectares. Once a capital of an enormous empire, London is a home to a diverse population and thousands of different businesses. 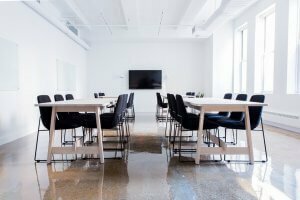 It’s easy to get frustrated when searching for the right location, so here are some questions that you might want to ask yourself before taking the big step to remove your office. 1.Why Do I Have to Move My Current Office Location? Immediate surroundings — Your neighbors are driving you crazy – you can’t concentrate because of the noise and the productivity level has fallen. General area — You don’t feel like the area in which your workplace is situated now is beneficial for your business — that could be, for example, because of the high cost of transportation or other logistic difficulties. Your current location may not place you close enough to your target demographic or is making finding qualified employees extremely challenging. Feeling of separation from the action — If you own a tech company and your first office is located in a quiet semi-residential area of London – that’s acceptable, but only in the beginning. The more connections your company establishes with different clients and companies in the same business circles, the more you realize it’s time to remove where the big fish live. Budget — Last on the list, but, let’s be honest, the budget is the most important of them all. In the end, everything revolves around the amount of money that you make and can afford to spend. 2. Where to Remove in London? London has five major business districts: the City, Westminster, Canary Wharf, Camden, and Islington, as well as Lambeth and Southwark. Each area has a wide range of business support and start-up activity. On average, prime rents in the West End have climbed well above £100 for a square foot, making the famous London area one of the most expensive business districts in the world. But renting in a big, luxurious building may not be your style, so you can always turn to the more budget-friendly shared space. 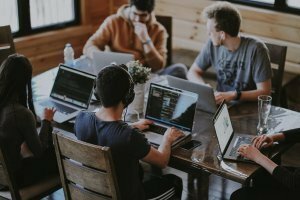 Removing your office to a coworking place holds its benefits — you can communicate with more people, establish new working relationships and work in a young and inspiring environment. Some of the most famous coworking spaces in London are Soho Works, Fora Coworking Spaces, Campus London, Vrumi just to name a few. A lot of the places are specialized in renting to people working in specific business areas — data science, sales, marketing. 1. The pep talk – Speak with your employees, explain to them why you think it’s the perfect moment for an office relocation. Coordinate their work schedules, vacation plans paid leave and plans for the upcoming holidays. Excite them, make them a part of the process. Hear their ideas, wishes, fears and make sure that at the end of this conversation you are all on the same page. Employees will play a critical role in a smooth and uneventful office removal. Never forget that these people spend forty to fifty hours a week working for you in the office space that you provide for them and they need to know that you care about their opinions and comfort. You know the saying “Happy wife. Happy life” – well in the office the happy wife is the competitive and motivated team, and the happy life part — efficiency, productivity and higher profits. Reserving a place to park the truck for the loading and unloading. If needed that can be executed during weekends or holidays. One of the essential parts of almost every business is the IT department and its relocation has to be done with utmost care and precision. Your removing coordinator will plan and consult with your employees, everything must be properly labeled and transported. Special packing containers for the servers and other sensitive technology will be provided and used for the move. Don’t forget to do a backup of all your information and documentation, make sure the IT department is confident that the new place can support your network requirements. Packing each work desk separately— Let’s avoid the conflicts about who has whose pencil, and where Ann favorite mug is. Your removal company will provide you with packing materials and will label every box. Don’t forget to put “Fragile” where needed.